If you like living life on the wilder side, chances are heli skiing is on your list of Awesome Travel Adventures, and if it’s not – it should be! We caught up with a couple of heli ski operators to find out more about the tantalising temptation of pure powder. Heli skiing is pretty self-explanatory, it involves a helicopter and skiing. Contrary to many people’s ideas, you do not take to the slopes by jumping out of a helicopter (a la 007), the helicopter takes you to some of the best untouched powder snow out there, and lands safely to let you out. Heli skiing isn’t an extreme sport, just for daredevils or stunt skiers – it’s suitable for strong intermediate to expert powder riders, and there are even some heli skiing operations that are well suited to first timers. 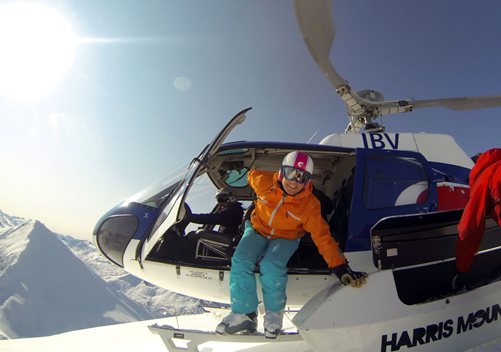 How good do you need to be to heli ski? If you’ve never tried skiing, you’ll definitely need to get a bit of experience under your belt to take on heli skiing. At a minimum riders should be able to ride a red run in any condition at a ski resort, although some operators say that experience on an ungroomed black run at a ski resort and feeling comfortable on tree runs is the best place to be before trying it out. If you aren’t sure, you could always take a soft approach by booking a day heli skiing as part of your wider ski holiday. 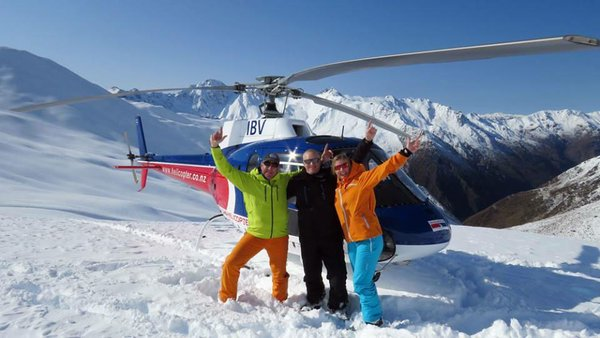 Day heli skiing is a convenient and a relatively low cost introduction. Be warned – this teaser is likely to leave you wanting more! Get fit to get the most out of it! A pre-season fitness regime focusing on legs and lungs will add to your heli skiing enjoyment, because guess what – if you are a powder virgin, you are going to find taking on the deep stuff pretty tiring! When you get there, and the conditions are perfect, nothing will be more frustrating than your body preventing you from making the most of an adventure you have spent years dreaming about. The heli ski season varies significantly depending on where you want to go. For Canada and the lower 48 of the US, the peak heli ski season is February, with operations generally running from December to early April. The main Alaskan heli skiing season is March to April, when there are adequate daylight hours. 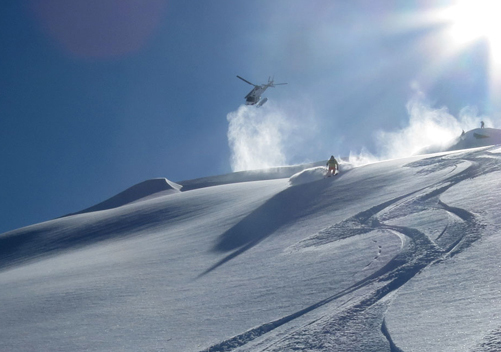 The New Zealand and South American heli skiing season is from July to September, with the peak season being in August. In Europe, January & February is usually colder, with more fresh powder about, but inclement weather can stop play. March and April on the other hand tends to have more ‘bluebird’ days and the alpine terrain is generally more accessible. An adventure worthy of a bucketlist? Scott Dunn offers a 7 night stay at Chalet Chinchilla in Val d’Isere, France from ￡1,985 per person based on six sharing and including return British Airways flights, luxury coach transfers, private chef and chalet host. 1 day heliski packages departing from Scott Dunn’s chalets in Val d’Isere start from £360 (€429) per person (based on a private group of four). DON’T FORGET YOUR HELI SKI INSURANCE! Extend your worldwideinsure.com wintersports insurance to include heli skiing, and you can go play in the powder knowing that we’ve got you covered should your holiday not go to plan. Call 01892 833338 if you’d like to know more, or visit our homepage to get an online quote. This entry was posted in Ski Insurance, Sports and Activities Abroad on February 12, 2016 by worldwideinsure.